If you had experiences an excruciating painful experience with a kidney stone, you will be hopefully convinced that seeing a doctor should have been done earlier. Imagine some crystals formed in your kidney that will pass to your delicate and thin urethra. It would feel like you are being pricked or even stabbed a million times from the inside while passing out urine. 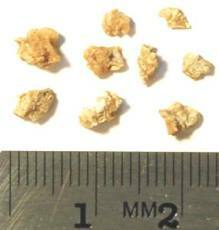 These stones are composed of ether calcium oxalate crystals or uric acid crystals. And each would need a different type of treatment. From the point of view of alternative medicine, people with calcium stones must lie low on high fat and go high on high fiber diet. Also, it’s important to note that certain leafy green vegetables like spinach, beet green are high in oxalates. Just avoid them. The eternal advice of drinking 8 glasses of water or more in a day is the perennial advice also on this kind of ailment. For anti stone supplementation, it is advised that one increase his calcium intake. Surprising? Calcium will bind with oxalate thus preventing the stones from forming. Magnesium and Vitamin D are also recommended to aid in the absorption of calcium and magnesium can help block the stone formation. Exercise is also the way to go for calcium to be absorbed in the bones and not to be deposited in the kidney. Take a brisk walk for at least 20 to 30 minutes a coupe of times a week. 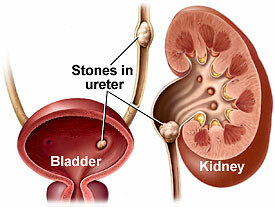 Just remember to avoid dehydration as this is a major risk factor for developing kidney stones. For uric acid formers, it’s important to balance the pH or the chemistry of your urine. It is advised to keep it alkaline as much as possible. Limit intake of purines. Drink more grapefruit, orange, tomato juice at least 3 glasses a day. Avoid anchovies, sardines, meat extracts, liver and fried foods. Drink more than the usual water recommendation per day to help pass out these purine rich foods. And if you have that painful urine passing, try to take a capsule of cornsilk as this will help reduce the friction. They are available in capsules, tea bags or liquid forms.